November 21, 2018 at 5:29p.m. Snowflake Ball, Dec. 1: Avon Oaks Ballroom, 1401 N. State St., Girard, 4 to 9 p.m. Sponsored by USA Dance. Advance ticket sales only. Tickets are $45 ($35 for students). Go to accelevents.com/events/SnowflakeBall2018. Gospel Christmas Concert: Carrollton Bible Chapel, 365 Steubenville Road SE., Carrollton, 6:30 p.m. Nov. 24, will host a Gospel Christmas Concert featuring Dell, Susan and Richard Hyssong. For admission, bring 2 non-perishable food items for the local food pantry, Loaves and Fishes. A door prize will be given during the concert. For directions or information, call the church at 330-627-7376 or Richard or Judy Cunningham at 330-323-9253 or 330-323-5610. Youngstown Symphony Orchestra, Dec. 1: “A Very Merry Christmas” featuring Phil Keaggy and the All Community Celebration Choir, Powers Auditorium, 260 W. Federal St., Youngstown, 8 p.m. Go to youngstownsymphony.com. TubaChristmas, Dec. 2: Stambaugh Auditorium, 1000 Fifth Ave., Youngstown, 2 p.m. Admission is by donation. A holiday craft show is part of the event from 11 a.m. to 4 p.m.
“Irish Christmas” starring Andy Cooney, with Eimear Reynolds and the Irish Pops Ensemble and Irish dancers, Dec. 5: Packard Music Hall in Warren at 7. Open seating. Tickets are $40; call 330-841-2931 or go to warrencivicmusic.com. “Carols & Cocoa” and the Dana Holiday Concert, Dec. 5: Stambaugh Auditorium, 1000 Fifth Ave., Youngstown, 7 p.m. The evening begins with seasonal singing in the ballroom. After an intermission with cookies and cocoa, a concert with full choir and orchestra will take place in the auditorium. Tickets are $11, available in advance at the Stambaugh box office, by phone at 330-259-0555; or stambaughauditorium.com ($6 for students from other schools and senior citizens). “A Down Home Country Christmas,” Dec. 5-8: Best Western Plus Dutch Haus Inn & Suites, 150 E. state Route 14, Columbiana, noon, Dec. 5-7; and 7 p.m. Dec. 8. Christmas hymns performed in Southern Gospel style by the Chuck Wagon Gang. The noon performances include a four-course luncheon and the evening performance on Dec. 8 includes a four-course gourmet buffet. For tickets, call 330-482-5050. Overnight packages are available. Natalie Grant and Danny Gokey, Dec. 7: Victory Christian Center, 3899 McCartney Road, Coitsville, 7:30 p.m. Dec. 7. Christmas classics and selections from Grant’s “Believe” and Gokey’s “Christmas is Here.” For tickets, go to CelebrateChristmasTour.com. “The Joy of Christmas” with Howard Howell and the Point Five Band, Dec. 7: Ford Family Recital Hall, 260 W. Federal St., Youngstown, 7 p.m. Featuring Sean Jones, Herb Wilborn Jr., Billy Beck, Rick Ward, Clarance Ross and Arielle Green. For tickets, call 330-744-0264 or go to youngstownsymphony.com. “Silver Bells with Mazhorell and Friends,” Dec. 8: Ford Family Recital Hall, 260 W. Federal St., Youngstown, 8 p.m. Go to youngstownsymphony.com. Big Band Jingle Bell Swing, Dec. 9: W.D. Packard Music Hall, 1703 Mahoning Ave., Warren, 2 p.m. Free admission. Jackie Evancho, Dec. 12: Christmas with Jackie Evancho concert, 7:30 p.m., Orr Auditorium, Westminster College, New Wilmington, Pa.; 724-946-7354. Michael McDonald, Dec. 13: Season of Peace, Holiday and Hits concert, 7:30 p.m. at Stambaugh Auditorium, Youngstown; 330-259-0555. Holiday Concert of Giving, Dec. 16: Stambaugh Auditorium, 1000 Fifth Ave., Youngstown, 4 p.m. concert by the Stambaugh Chorus. Cash and check donations of any amount will be collected at the door. All proceeds will benefit Second Harvest Food Bank. No food items will be collected at this event. Stambaugh Chorus, Dec. 18: at the First Presbyterian Church of Columbiana, 28 E. Park Ave., 4 p.m.
Jim Brickman, Dec. 20: A Joyful Christmas concert, 7:30 p.m., Stambaugh Auditorium, Youngstown; 330-259-0555 or stambaughauditorium.com. Firestone Park’s Joy of Christmas, through Dec. 16: Firestone Park, 338 E. Park Ave., Columbiana, 6 to 9 p.m. Nov. 22-25, 29-30 and Dec. 1-2, 6-9 and 13-26. Admission is $10 per vehicle or $2 per person in motorcoach. Kennywood Park’s Holiday Lights, Nov. 23-Dec. 23: Kennywood Park, 4800 Kennywood Blvd., West Mifflin, Pa., 5 to 9 p.m. every Friday, Saturday and Sunday from Nov. 23 to Dec. 23 and every night Dec. 26 through 30. Winter Nights at the Gardens, Dec. 1-29: Fellows Riverside Gardens, 123 McKinley Ave., Youngstown, 5 to 7 p.m. every Saturday in December, featuring the outdoor light display, toy workshop and reindeer games. The fee for crafts is $1, cash only. Boardman Park Holiday Light Display, Dec. 2-Jan. 6:Tune car radios to 88.9 FM to enjoy 21 light displays that are synchronized to a variety of traditional Christmas songs. This event is free. “Ryan and Friends Celebrate Christmas,” Nov. 28-30: Dutch Village Inn, 150 E. state Route 14, Columbiana, noon and 7 p.m. Nov. 28 to 30. Call 330-482-5050. “A Christmas Carol,” Nov. 30-Dec. 2: Kent State University Trumbull Theater, 4314 Mahoning Ave., Warren, 7:30 p.m. Nov. 30 and Dec. 1; 3 p.m. Dec. 2. Call 330-675-8887 or email trumbullboxoffice@kent.edu. “A Christmas Story, the Musical,” Nov. 30-Dec. 2: Oakland Center for the Arts, Trinity Fellowship Church, 4749 South Ave., Boardman, 7:30 p.m. Nov. 30 and Dec. 1, 2:30 p.m. Dec. 2. Call 330-406-0606. “Christmas at Mamaw Jo’s Stop-N-Go,” Nov. 30-Dec. 2, Dec. 7-9: Stage Left Players, Trinity Playhouse, 234 E. Lincoln Way, Lisbon, 7 p.m. Nov. 30-Dec. 1, 7 and 8; 2 p.m. Dec. 2 and 9. Call 330-831-7249. “A Christmas Carol,” Nov. 30-Dec. 2, Dec. 7-9: Crown Theater Productions, Main Street Theater, 5 N. Main St., Columbiana, 8 p.m. Nov. 30, Dec. 1, 7 and 8; 2 p.m. Dec. 2 and 9. Go to crowntheaterproductions.org. “Elf Jr.,” Nov. 30-Dec. 2, Dec. 7-9: New Castle Playhouse, 202 E. Long Ave., New Castle, Pa., 7:30 p.m. Nov. 30-Dec. 1, 7 and 8; 2 p.m. Dec. 2 and 9. Call 724-654-3437. “How the Drag Queen Stole Christmas,” Nov. 30-Dec. 1, Dec. 7-8, 14-15: Rust Belt Theater, at Calvin Center, 755 Mahoning Ave., Youngstown, 8 p.m. Nov. 30, Dec. 1, 7, 8, 14 and 15. Call 330-507-2358. “Down Home Country Christmas,” Dec. 5-8: Dutch Village Inn, 150 E. state Route 14, Columbiana, noon Dec. 5 to 7, 7 p.m. Dec. 8. Call 330-482-5050. “The Great Russian Nutcracker,” Dec. 6: Moscow Ballet, at Powers Auditorium, 260 W. Federal St., Youngstown, 7 p.m. Call 330-744-0264. “Disney On Ice presents Frozen,” Dec. 6-9: Covelli Centre, 229 E. Front St., Youngstown; 7 p.m. Dec. 6 and 7; 11 a.m., 3 and 7 p.m. Dec. 8; and 1 and 5 p.m. Dec. 9. Go to ticketmaster.com, or call 800-745-3000. “The Nutcracker,” Dec. 7 and 9: presented by Ballet Western Reserve and the YSU Jazz Ensemble at Stambaugh Auditorium, 1000 Fifth Ave., Youngstown, 7 p.m. Dec. 7 and 2 p.m. Dec. 9. Call 330-259-0555 or go to stambaughauditorium.com. “1940s Radio Christmas Carol,” Dec. 14-15: Dutch Village Inn, 150 E. state Route 14, Columbiana, noon Dec. 14, 7 p.m. Dec. 15. Call 330-482-5050. “Miracle on Easy Street,” Dec. 14-16: Easy Street Productions, Powers Auditorium, 260 W. Federal St., Youngstown, 7:30 p.m. Dec. 14 and 15, 2:30 p.m. Dec. 15 and 16. Go to youngstownsymphony.com. “A Tuna Christmas,” Dec. 14-16, 21-23: Youngstown Playhouse, Moyer Room, 600 Playhouse Lane, 7:30 p.m. Dec. 14, 15, 21, 22; 2:30 p.m. Dec. 16 and 23. Call 330-788-8739. “Rockin Around the Town Square,” Dec. 21-23: Main Street Theater, 5 N. Main St., Columbiana, 8 p.m. Dec. 21 and 22, 2 p.m. Dec. 23. Go to crowntheaterproductions.org/event. “A Big Band New Year’s Eve,” Dec. 31: Dutch Village Inn, 150 E. state Route 14, Columbiana, 8 p.m. Call 330-482-5050. Trumbull Area Artists Exhibition, through Dec. 29: Trumbull Art Gallery, 158-162 N. Park Ave., Warren, noon to 4 p.m. Tuesday through Saturday until Dec. 29. All works are less than $200. Christmas on the Farm, Nov. 24: Molnar Farms, 3115 E. Western Reserve Road, Poland, 8:30 a.m. to 4 p.m. More than two dozen local artisan vendors will sell their handmade gifts and decorations at this craft and gift market. Holiday Open Studio and Sale, Nov. 24-25: Presented by Artists of the Mahoning Commons in the Ward Bakery Building, 1024 Mahoning Ave., Youngstown, noon to 5 p.m. Nov. 24 and 25. Artists will have their studio spaces open for viewing and shopping. Featuring live music, fresh baked goods and a chance auction. Holiday Bazaar, Nov. 25: Jewish Community Center, 505 Gypsy Lane, Youngstown, 11 a.m. to 4 p.m. Nov. 25. Many vendors, and a basket raffle. For information, call 330-746-3250 ext. 182 or email scornell@jewishyoungstown.org. Youngstown Flea Holiday Market, Nov. 30: DeYor Performing Arts Center, 260 W. Federal St., Youngstown, 4 to 8 p.m.
Holiday Open House, Nov. 30 and Dec. 1: Trumbull Art Gallery, 158-162 N. Park Ave., Warren, 11 a.m. to 6 p.m. Nov. 30 and 11 a.m. to 4 p.m. Dec. 1. Featuring local artists and crafters, music, treats and more. Model Railroad open house, Dec. 1-2: Youngstown Model Railroad Association will demonstrate its two layouts from noon to 6 p.m. at its clubhouse, 751 N. Four Mile Run Road, Austintown. Admission is $5 (free for children 11 and under). Go to ymra.org or call 330-799-8691. Christmas in the Country, Dec. 1: Presented by the Winona Area Historical Society in the 1938 Meeting House, Winona, 9 a.m. to 3 p.m. Dec. 1. Functional and decorative items handcrafted by local artisans. American Holiday at the Butler Arts & Crafts Show, Dec. 1-2: Butler Institute of American Art, 524 Wick Ave., Youngstown, 10 a.m. to 5 p.m. Dec. 1 and 10 a.m. to 4 p.m. Dec. 2. This juried show features visual artists and craftspeople showcasing the best of their work. Christmas Marketplace, Dec. 1-2: Mahoning Valley Historical Society, the Tyler History Center, 325 W. Federal St., Youngstown, 10 a.m. to 4 p.m. Dec. 1 and noon to 4 p.m. Dec. 2. Christmas Tree Lighting, Nov. 24: VFW Post 9571 and Auxiliary of Ellsworth will host its Christmas tree lighting ceremony at 6 p.m. at Ellsworth Firehall, state Route 45. Santa will be in attendance. Donations accepted. For information, call 330-717-6652. Steam Whistle Blow, Nov. 24: An array of steam whistles from former steel mills and railroads of the Mahoning Valley will be hooked up and can be blown for a $1 donation, from 10 a.m. to 2 p.m. at the B&O Station, 530 Mahoning Ave., Youngstown; go to MVRHA.org. West Side Cats holiday open house, Nov. 24: 4305 Market St., Youngstown, will present a holiday open house. Photos with Mrs. Claus from noon to 4 p.m. Nov. 24. Pets welcome. Donations accepted, but not required. Memories of Christmas Past, through Jan. 6: Arms Family Museum, 648 Wick Ave., Youngstown, during museum hours, noon to 4 p.m. Tuesday through Sunday, until Jan. 6. The museum is closed Mondays, Thanksgiving Day, Christmas Eve and Day and New Year’s Day. Admission for the exhibit is $9 for adults, $8 for senior citizens and college students, and $7 for children ages 3 to 18 (under 3 get in free). The rooms of the museum are decorated in vintage ornaments and other items. Toys for Tots, through Dec. 14: Kennsington Golf Club ProShop, 4171 Westford Place, Canfield, 10 a.m. to 6 p.m. until Dec. 14. The golf club is collecting new unwrapped toys for children. Anyone who donates a toy will receive a coupon for nine holes of golf at the course. Olde Fashioned Christmas at Lanterman’s Mill, Nov. 24-25: 980 Canfield Road, Youngstown, 11 a.m. to 5 p.m. Nov. 24 and 25. Enjoy fire-roasted chestnuts, artisans demonstrating crafts, unique handcrafted gifts for sale and festive entertainment. Bring a new hat, scarf or pair of mittens to decorate a “Giving Tree.” Donated items will go to children in need this winter. Santa’s Winter Barn, Nov. 25: Millcreek MetroParks Farm, 7574 Columbiana-Canfield Road, Canfield, 11 a.m. to 2 p.m. Nov. 25. Meet Santa and some of his animals from around the world. It’s a great photo opportunity to sit in Santa’s sleigh and see a reindeer. The event is held in the barn so dress for the weather. Call 330-533-7572 for details. Children’s craft option $1, cash only. Quakertown Trolley Light Tour, Nov. 29: Salem Chamber of Commerce parking lot, 713 state Route 344, Salem, 8, 8:45 and 9:30 p.m., tickets are $3 for adults and $1 for students 12 and under. Call 330-337-6733 to register. Pre-parade reception, Nov. 30: SOAP Gallery, 117 S. Champion St., Youngstown, 5 p.m., hear gallery owners Steve Poullas and Daniel Rauschenbach discuss the art and their experiences. Refreshments will be served. 6 p.m., line up on E. Federal St. for the Holiday Parade, which begins at 6:30 p.m.
Youngstown Holiday Parade & Tree Lighting Ceremony, Nov. 30: Downtown Youngstown, along Federal Street. Festivities begin at 4 p.m. in Central Square. There will be free admission to OH WOW! Children’s Center for Science & Technology from 5 to 7:30 p.m. The parade will start at 6:30 p.m. and go along East Federal Street from Commerce Street to Vindicator Square. The tree lighting will take place immediately following the parade, followed by pictures with Santa at 20 Federal Place. The Youngstown Phantoms game that evening at Covelli Center will be Youth Jersey Giveaway Night. “Winter Celebration: Frozen in Time,” Dec. 1-30: Fellows Riverside Gardens, 123 McKinley Ave., Youngstown, 10 a.m. to 5 p.m. Dec. 1 through 30. Closed Mondays and Christmas Day. Enjoy the holiday tree walk, scavenger hunt and seasonal blooms. Accepting donations of non-perishable food items for Second Harvest Food Bank of the Mahoning Valley. Pictures with Santa, Dec. 1: Poland United Methodist Church, 1940 Boardman-Poland Road, 9:30 to 11:30 a.m. Families attending can also enjoy an elf workshop and mini breakfast. Pancake Breakfast with Santa, Dec. 1: Lordstown Lions Club, UAW Local 1714 Union Hall, 2121 Salt Springs Road, 9 a.m. to 1 p.m. Tickets are $6 for adults, $5 for youths age 12 to 17, $4 for children age 4 to 11 (free for children under 4). A photographer will be available to take pictures with Santa (two for $5). There will also be crafts for people of all ages. Boardman’s Community Christmas, Dec. 2: Boardman Park, 375 Boardman-Poland Road, Boardman, 4 to 6 p.m. 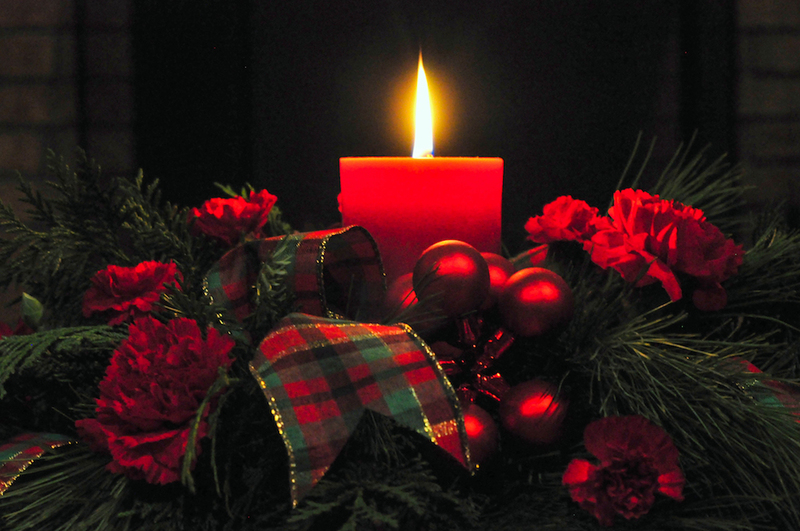 Advent Speaker Series, Dec. 5, 12 and 19: St. Charles Borromeo Parish, 7345 Westview Drive, Boardman. A series of talks to inspire from 7:40 to 8:15 a.m. Dec. 5, 12 and 19. A continental breakfast will be provided. For information, call 330-758-2325. Christmas Celebration of Preservation, Dec. 6: Salem Historical Society will honor two of downtown Salem’s oldest preserved and reused buildings. The event, which will take place from 6 to 8 p.m., will feature Jacob Heaton’s Tavern, currently Liebe Wein, 530 E. State St., and H. Greiner and Son Bank, currently Lib’s Market (formerly Fisher’s Ferrier’s, Fensake’s, F.E.’s and Friends), 474 E. State St. Cost is $20, which includes Lib’s buffet and one glass of wine at Leibe Wein. The event will include heavy hors d’oeuvres, a cash bar and specialty drinks at both locations. Reservations are due by Nov. 30 and can be made by calling Ginger at 330-337-7225 or emailing gingergrilli@aol.com. Make checks payable to Salem Preservation. Breakfast with Santa, Dec. 8: Fellows Riverside Gardens, 123 McKinley Ave., Youngstown, 9 to 10:30 a.m. or 11:30 a.m. to 1 p.m. Dec. 8. Cost is $16 for ages 12 and older, $10.50 for ages 2-11, under 2 free. Call 330-740-7116 for reservations. “Christmas on the Hill,” Dec. 8: St. Anthony Catholic Church, 1125 Turin Ave., Youngstown, 5 p.m. Dominic Tocco and the Brotherhood will provide entertainment. The cost is $35 per person. Call CIAO Entertainment at 330-503-1954 for tickets or information. Caring Santa Holiday Photos, Dec. 9: Eastwood Mall, 5555 Youngstown Warren Road, Niles, 9 to 11 a.m., private mall hours for children with special needs to meet and take photos with Santa in a calm, controlled environment. There will be coloring, games, crafts and stories. Register at http://autismmv.org/newsite/event/special-santa/. For information, call 330-333-9609 or email info@autismmv.com. Lunch With Santa, Dec. 15: Austintown Bounce, 4317 Kirk Road, will host Lunch With Santa from 11 a.m. to 1 p.m. Santa will arrive at 11:30 a.m., and a photographer will be available to take photos. $7 admission includes a hot dog, small fountain drink, snow globe and unlimited play on the inflatables. No coupons or passes will be accepted during this special event, and socks will be required to bounce. Christmas Madrigal Dinner and Show, Dec. 15: Stambaugh Auditorium, 1000 Fifth Ave., Youngstown, 5:30 p.m. Tickets are $40. Call 330-259-0555, go to stambaughauditorium.com. Kwanzaa Celebration, Dec. 28: Beulah Baptist Church, 570 Sherwood Ave., 6 p.m. Dec. 28. There will be dancers, readings and talks on the principles of Kwanzaa. Boar’s Head and Yule Log Festival, Jan. 6: St. John’s Episcopal Church, 323 Wick Ave., Youngstown, 1:30 and 4 p.m. Jan. 6. For information about this dinner and performance, go to stjohnohio.org. November 21, 2013 12:05 a.m.